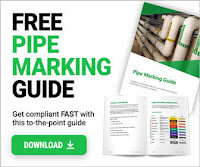 This Workbook provides a tool that is intended to provide a quick, easy and accurate method for the piping designer to use when calculating piping system weights. The workbook can be used to calculate the weight of the pipe, flanges, fittings, insulation and hydrotest water for a single size or for multi-size configurations. Since in above embedded mode, you're not able to do the calculations. Hence, in order to do the calculations, you'll probably need to download this spreadsheet, so simply go ahead to this link for one click download. This file is uploaded on Dropbox, so just in case, if dropbox.com is blocked at your workplace, then download link will not work. If you think that i have violated any copyright by publishing this spreadsheet, please contact us for the claim. It's a protected workbook. For calculations purpose, password is not required. But if you try to do any change in calculations part, it requires a password, which even i don't have. You can try cracking the password with some other utilities given on internet.